Mullenweg discusses domain names and .blog. 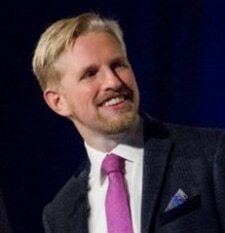 Matt Mullenweg created WordPress and is the CEO of Automattic, the company behind WordPress.com and many related products. On today’s show, Matt will discuss the upcoming launch of the .blog top level domain and how you can get in the door early. I also asked Matt if the importance of domain names is waning in light of apps and other platforms. You’ll like what he has to say. Also: .Co auction, Donuts’ offer and IANA transition.